Photo © Waterton Shoreline Cruise Co. 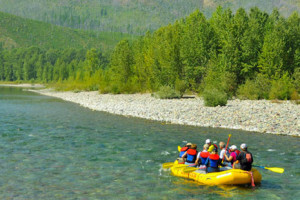 The waters in and around Glacier National Park offer premiere boating on a northwestern Montana vacation, with all kinds of fun outdoor water sports activities for all ages. 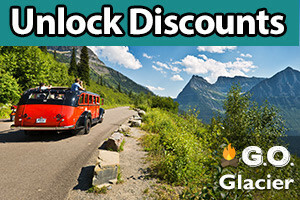 Plus 14 other exciting discounts on adventures for the whole family in and around Glacier! Get your GO Glacier Pass and Get Outside! 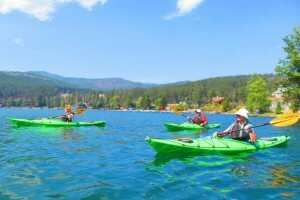 Guided tours on Flathead Lake - from 2 hours to 1/2-day to Cedar Island. Lots of fun for all ages. Try Kayak or Stand-Up Paddleboards. The premiere boat rental company located on beautiful Flathead Lake in Woods Bay. We offer ski boats, wave runners, sea kayaks, and pontoon boat rentals. Official boat tours inside Glacier Park, plus rental crafts throughout the Park (Apgar, Two Medicine, St. Mary, Many Glacier & Lake McDonald). Rent waterski, wakeboard and pontoon boats, or personal watercraft from Sea-Doo. Great rates and lots of craft to choose from. Summer boating is never better than in Glacier National Park and on other lakes in this Big Sky Country. The park and surrounding Flathead Valley have many lakes where you can enjoy the sun and the pristine waters with the whole family. 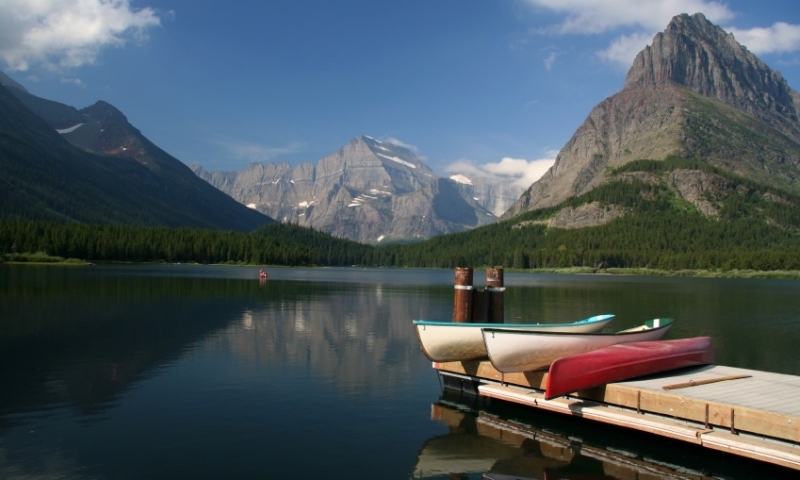 You will find a variety of boating experiences in Glacier National Park. Early explorers were fascinated with the beauty of Lake McDonald. The perfect way to relax is to get out on that shimmering water in a boat. Motorized craft are permitted on this lake, and boat-launching ramps are available. Boat tours of the lake are also offered, departing from Lake McDonald Lodge. Most visitors to the park usually miss Bowman Lake. You can only reach the lake by a gravel road in the remote North Fork section of Glacier. There is a boat ramp on the lake, and you can use motorboats that are 10 horsepower or less. On St. Mary Lake you’ll have photo opportunities abound, and view some marvelous waterfalls and forested hills. There’s a boat launch as well as great boat tours available. You can take motorboats on this lake. You can take any kind of boat out on Two Medicine Lake, motorized (10 horsepower or less), canoe or kayak. From the Two Medicine Lake boat dock, you can take one of the 45-minute boat tours. Folks like to take a boat to access some great hiking spots. You will have to hand-carry your craft to this lake since there are no boat ramps. But it’s well worth it as you have peaceful quiet and natural beauty surrounding you. There is no boat launch on this lake, but you can carry a canoe over and paddle about in exploration. Another adventure is taking a boat tour, where you move across the lake then walk a short distance for a second cruise on Lake Josephine. On Lake Josephine you can paddle with a small canoe or kayak, or you can take a cruise tour across the lake. Beautiful valleys and mountains surround you and you must not forget your camera! Southwest of the park, you’ll find Flathead Lake and some exhilarating boating. You will have your pick of marinas and launch points as well as a number of fuel locations. Water skiing enthusiasts love this place, too. This is the ideal place to come for water skiing and jet skiing in the summer. The water gets to comfortable temperature levels around mid-July to August. 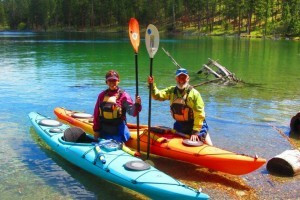 There are many bodies of water in the Flathead Valley region, and you can also try Ashley Lake, Echo Lake, Bitterroot Lake and others. If you have a canoe or raft, you can carry it to smaller waters surrounding, and you can enjoy the Flathead River that forms the south and western boundary to Glacier. It’s not always easy to bring along your boat on your vacation, and so it’s always an option to rent a boat to get out on your favorite lake. 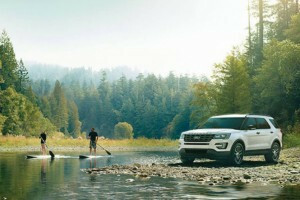 You can get low horsepower motorboats, rowboats, canoes or sea kayaks. You’ll find small boat rentals in Glacier at Apgar and Lake McDonald as well as Two Medicine and Many Glacier. Costs for boat rentals vary on the location and size of craft, but range from $15 to $24 an hour. Boat tours run between $11 and $22 within the park. All motorboats and sailboats 12 feet must be registered with the state of Montana and checked for invasive species with the park. There is no need to register or pay a fee to use your own canoes, kayaks and other hand/wind propelled boats. Getting a boat tour provides you with an extraordinary experience on the lakes in Glacier National Park. You learn many facts you would never otherwise know about this glacier-carved landscape. Explore the tours available on this page. Plan an excursion on the mighty Columbia River.